Lydia Wilde, struggling to keep the peace in her fracturing family following her mother’s death, has little time or kindness to spare for her unwanted guests. And Canadian lieutenant Jean-Philippe de Sabran has little desire to be there. But by the war’s end they’ll both learn love, honour, and duty can form tangled bonds that are not broken easily. 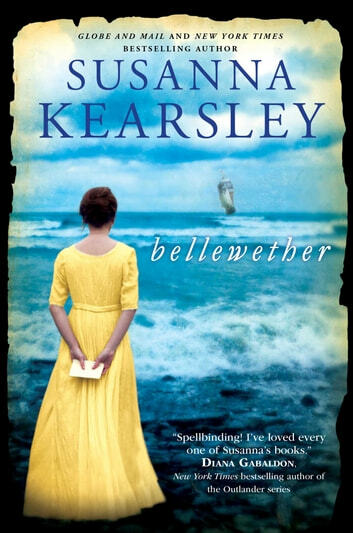 Bellewether is an enthralling tale set on the eastern shores of Long Island during the late 1750s, as well as present day, and is told from three different perspectives. Lydia, a strong, hardworking young woman struggling to care and support those she loves in a time of uncertainty and upheaval. Jean-Philippe, a French-Canadian soldier who finds himself captured and a parole of honour in the final pivotal days of the Seven Years’ War. And Charley, an intelligent, independent woman determined to discover all the skeletons hidden inside the Wilde House, as well as her own. The prose is eloquent and expressive. The characters are alluring, sympathetic, multi-layered, and authentic. And the plot is a sweeping saga filled with familial drama, introspection, love, loss, grief, mystique, heartbreak, romance, secrets, passion, loyalty, as well as a little peek into a war that had a tremendous impact on the culture and history of Canada as we know it today. 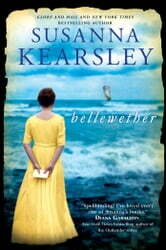 Bellewether is a beautifully written, exceptionally atmospheric novel that transports you to another time and place and immerses you so thoroughly into the personalities, feelings, and lives of the characters you never want it to end. It is without a doubt one of my favourite novels of the year that once again highlights Kearsley’s extraordinary imagination and talent as a masterful storyteller and researcher. Ms. Kearsley, per her talent has woven a wonderful tale that wraps around your heart, and stimulates your mind to recognize the past as something to be remembered, treasured, and learned from. I anxiously await her next tale! Susanna's books are some of my favourites and this one is no exception. This book is difficult to put down - lovely story! I really enjoy susanna Kearsley's books, but some how or other, I found this book not up t o her usual awesome performance. I generally found the plot rather plodding and lacking something. I did enjoy the perspective of the Americans during our Seven Year War, as I did not know much about the American side of the conflict. It is not talked about much in Canadian text books. I'm a big Kearsley fan. But I felt this book was missing the wonderful magic of many of her other books. A bit of that magic came through in the last few chapters but it was slowed down by a peculiar use of flashbacks throughout, often to earlier the same day or week, to fill in backstory. A linear approach would have kept the story moving better. Also, I thought it slowed the story down to have three points of view. Sticking to just the two women might have worked better. Still, Kearsley tells a good story and I look forward to her future books.